“In this role, Chef Pannier will oversee the desserts at 1609 Bar & Restaurant, Crown & Anchor and catering throughout the hotel. Mr Pannier hails from Le Perray-en-Yvelines, France and is certified in pastry, baking, chocolate and ice cream production,” the hotel said. “Chef Pannier specialises in fusion and molecular desserts, the latter of which combines physics and chemistry to create desserts with remarkable textures and flavours. “For example, Chef Pannier is currently developing a mango berry and chocolate caviar. Making the caviar spheres requires the precision and technique of the sciences, which not only results in a visually beautiful dessert but also offers diners a unique textural experience that enhances the flavour of the dessert. 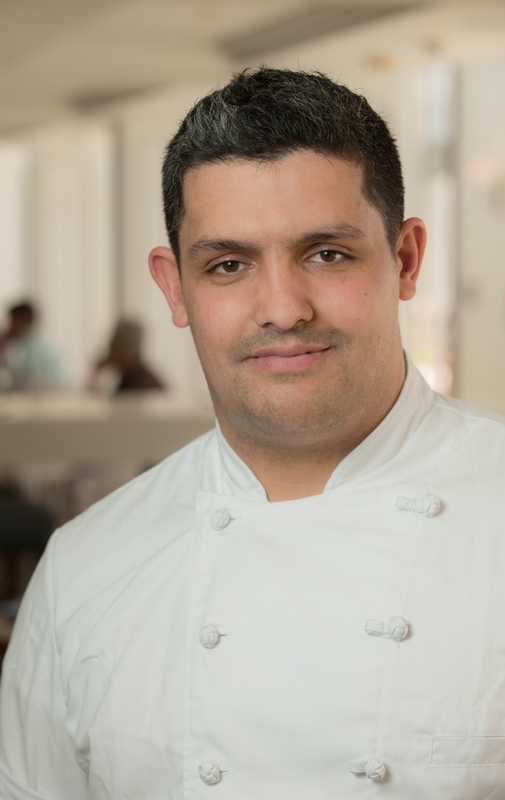 “Chef Pannier fuses his French training with local recipes he acquires while living and travelling abroad. To this end, he will be infusing Bermuda flavours into his homemade chocolates and ice creams. At 1609 Bar & Restaurant, he is creating cocktail-inspired chocolate truffles and on the Crown & Anchor menu he plans on adding a rum-flavoured ice cream. “All the ice creams on the 1609 Bar & Restaurant, Crown & Anchor and hotel catering menus are made at the hotel using the hotel’s own Carpigiani ice cream machine. The Carpigiani machine is the best quality ice cream maker available and it has the ability to rapidly make both flavourful sorbets as well as ice cream. “Starting this weekend, Chef Pannier is introducing two new weekend buffets to Crown & Anchor. 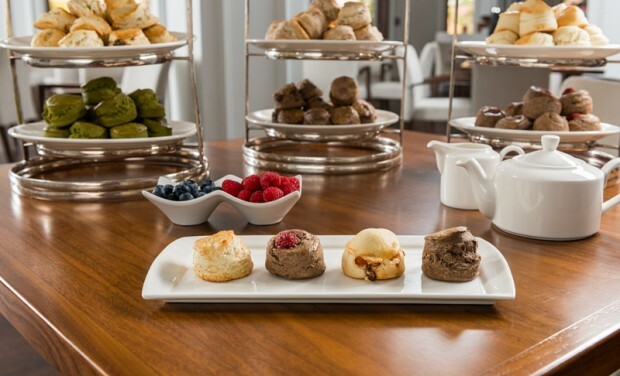 The first, Scones, Scones, Scones, will feature a variety of scones, ranging from the traditional to cherry pistachio and dark chocolate, available for $35 on Saturdays from 2pm until 5pm until the end of September. 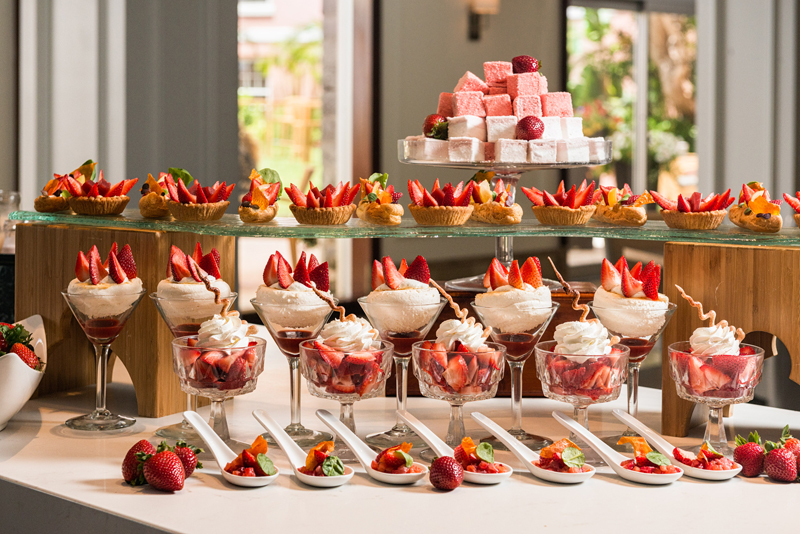 “During the same time on Sundays, starting on August 16 until September 27, Chef Pannier is introducing a strawberry buffet, Strawberry Fields Forever! For $38, diners can enjoy coffee or tea paired with éclairs, tarts, macaroons, ice creams and many more strawberry-flavoured delicacies and treats. “Chef Pannier has worked with Michelin-starred chefs and served as the Executive Pastry Chef in top hotels and restaurants, including the Brasserie Jean Claude and Pastry Shop by Jean Claude and the Fairmont Grand Hotel Kyiv both in Ukraine; the Fairmont Hotel Dubai in the United Arab Emirates; and most recently at The Ritz Carlton Moscow in Russia. He trained at the Olivier Bajard’s Ecole Internationale de Pâtisserie in Perpignan and at the International Le Cordon Bleu School in Paris. “We are thrilled to welcome pastry expert Kevin Pannier,” said Thomas Laberer, executive chef for the Hamilton Princess & Beach Club. “The Hamilton Princess & Beach Club has become a gourmet destination in Bermuda among visitors and the local community. To taste one of Chef Pannier’s desserts, make a reservation at 1609 Bar & Restaurant or Crown & Anchor by calling 295-3000. Buffets are for commoners. Who wants a bunch of other people’s paws near their food first! A buffet would never fly at the exclusive BBIRYC. The members of my club can rest assured that we’ll never have a buffet at BBIRYC. Only fine dining for BBIRYC members. The food at 1609 is over priced and my nine year old could cook it better. Oh and the wait staff needs to be properly trained, not all but most of them. Now Marcus is a good spot, 100 percent better. Well done there folks. It’s PAWS like Yours that spread the CAUSE. who gives a flying F… what BBIRYC members and their club do? You must be new to Bernews. The ‘Commodore’ has been at this for a while now, don’t let him get to ya. The poster is being facetious as they are in all their posts. Do you honestly think he is the commodore? As Event Planner of BBIRYC I am in one million percent in agreement if you beloved commodore JB. Pardon me for not knowing but what does bbiryc stand for? The last shall be first and the first shall be last says the good book. It is great to have the likes of Chef Pannier in Bermuda. Look at all the experience he brings from the fascinating places he has worked in the big world outside of our 12,000 acre island(s)! I can’t wait to try his ice creams and scones! Bermuda has to understand that the Hamilton Princess is Top of the Pops and the Green family are very innovative and spend a ton of money to draw appreciative high end visitors to the island to enjoy the best Bermuda can offer. Rome wasn’t built in a day, but the Hamilton Princess has changed an so much in the 2 years it has been in the Green family’s hands. I say WELL DONE! Believe in the efforts being made to make Bermuda the best – and realize that this hotel PROMOTES hiring keen Bermudians who want to work hard and learn under these professionals, climb the ladder, and help to make Bermuda even better!